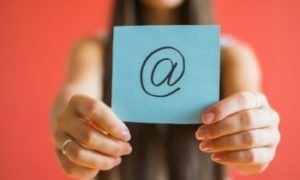 If you work in B2B sales and marketing, then email is likely to be one tactic you simply cannot live without. Indeed, 73% of B2B marketers say it is essential for growing their business, while 59% cite email as the most effective channel for generating revenue. And while it may appear straightforward on paper – write your message and press send – the art of crafting amazing marketing emails that really work is anything but. You need to get every element spot on if you’re to be effective. That means choosing the most appropriate email format for the target audience and the goal you’re hoping to achieve. Then crafting some killer copy that pushes the right buttons. Whether you want to open doors and generate new leads, nurture prospects along the buyer journey, upsell or cross-sell to existing customers, or simply to keep in touch and maintain relationships, there are many choices available to you. We’ll run through the secret of using email marketing successfully, as well as some of the common traps to avoid and what the top email templates are for B2B marketers. What do all B2B marketing emails need? The answer is simple – personalized emails have a higher open rate. The more tailored you can make your emails and their content, the more likelihood there is they will be effective. And that means doing more than simply addressing an email to someone by name. We’re all bombarded by information all the time and from many different sources. To stand out from the crowd and avoid your emails being instantly dismissed as spam, the content needs to be relevant. An obviously generic mailer, especially if any part of it is completely inappropriate to the individual reading it, will instantly put them off. You need to show that you know and understand them. For example, imagine you received an email where your name was spelled wrong and it was trying to sell you a product that you can’t even use. Firstly, what impression will that give you of the company, and secondly what are you going to do next? – exactly, nothing. 1. Cut the waffle – Get to the point. Outline what the key messages are that you want to say before you start writing (including the call to action). Skip the long words too and never use 10 if 5 will do. Time really is precious and attention spans are short. 2. Avoid using jargon – Make it easy and understandable for your audience to read. Never assume they know what you know, no matter what industry you are in. If they can’t understand it they won’t continue reading it and they definitely won’t act on it! 3. Make it about them not you – If you’re talking about yourself all the time, reeling off all the reasons you’re so great and pushing how good it would be to work with you, then your audience will soon be turned off. It should never be about you, it needs to be about the audience and what they need. 4. Don’t overload – It can be tempting to try and fit in as much as possible, but even if you have loads to say and share – don’t! Trying to squeeze in too much will weaken your message and the likelihood of a positive outcome. Be clear from the start what the email is specifically designed for and what you want the result to be. 5. Don’t overdesign it – Make sure that the design of your email isn’t making you lose the power of your messaging. It may look great but does the design distract, does it interrupt the natural flow, does it mess up the format when read on different devices and will it annoy people by hiding key points? There are many reasons why you may want to send out an email, and each purpose will often require you create a different type of email. We’re going to give these a mention here, as many firms still automatically think of email marketing when they consider how they’re going to generate leads. Traditionally, companies would have done this by buying in a list of contact details and hitting it with a generic email, in the hope of opening some doors and tempting one or two buyers to get in touch. But it’s a tactic that’s unlikely to generate much of a result nowadays. Your time would be far better spent working on highly personalized email nurturing campaigns, or some of the other email marketing tactics we’re going to cover in a minute. And if you are going to try ‘cold emailing’, then see: What’s the best cold email marketing strategy? for some more pointers. Content marketing goes hand in hand with email marketing. Your blog could become one of your most effective lead generation tools. When you’ve generated some new contacts through your lead gen activities, using new content emails is one way to keep building the relationship and showing off your expertise. When you upload a new blog post or other content to your website, also create an email to share it with those contacts you think will be interested. There are no hard and fast rules about how often you should be sending out this type of email, as long as the content itself is top quality and right for the audience it is sent to. Every company newsletter takes considerable time to put together and will often be used to shout about the latest company achievements and developments. The problem is, who is really going to be interested in that? It’s never going to be a lead generator for you. However, newsletters do have their place within the marketing mix and can be useful for maintaining relationships with stakeholders, employees and certain customers. The trick here is to make sure you have a well segmented list. Don’t just send out a newsletter to your full database. If anyone signs up for your blog or newsletter, then make a fuss of them. Don’t just send them a ‘thank you for subscribing’ automated one liner. Instead, use it as an opportunity to cement your budding relationship and create a great impression. Be friendly, keep it short and be careful not to try and cram too much in. Maybe flag up a webinar you have coming up, or highlight some of your most popular blog posts. Anything you think they may be interested in. You may be pleasantly surprised how much extra interaction you generate just by working on this part of the communication chain. One of the best ways to land sales is to get face to face with buyers and to get them together with current customers. That’s where events come in and with them, many opportunities for email marketing. Encourage buyers to register for your event multiple times before the event itself. Don’t be afraid to be creative here. Use different types of content and share it through email, such as a short biog of any guest speakers you have attending, or videos from previous events. Keep your messages highly targeted and of course make sure you include the event details, like when, where, the benefits of attending and how to register. There are many occasions when you might use a follow up email. For example, after you’ve held your event. In this case, it’s always advisable to have your follow ups drafted and ready to go, well ahead of the event happening. You’ll want a few different versions, including one for those who attended, and one for those who couldn’t make it. If you met a contact at the event and discussed something in particular with them – especially if you promised to send them more information, or something specific – then make sure you always keep to your promises. And don’t leave it too long. Keep up the momentum while they remember who you are. The best way to secure new customers is through referrals and recommendations. Emails should factor into your strategy here, as a way to try and drive new business from existing customers and brand ambassadors. Send out something of value that can be shared, such as an offer or a mechanism that encourages people to sign up for a free trial. Case studies are a great way to prove your expertise and show your product or service in action. A happy customer is a powerful thing and so is being able to show your solution solving a genuine problem – especially if you can use a case study to demonstrate a complicated process. As ever, be selective who you send it to, to ensure it gets in front of the right audience. In the copy, focus on the customer and how they benefited from your solution, rather than the technical details, to avoid sharing any trade secrets. From time to time you may wish to promote a special offer to a segment of your database. Make sure the offer is highly tailored and will be of value. Include details for how to take advantage of the offer, what they can expect and make the next steps very clear. Of course, if you’re using email marketing you should never think of any email in isolation. Have a plan. What’s the sequence that will kick in after you’ve sent your email out? Some may just slot in to your existing plans, but others may need a workflow of their own. For example, what happens if you get a referral in – how are you going to respond to the lead but also the person who referred them to you? Map everything out from the beginning.